7 1/4 L x 4 5/8 H x 3 1/2 D in. 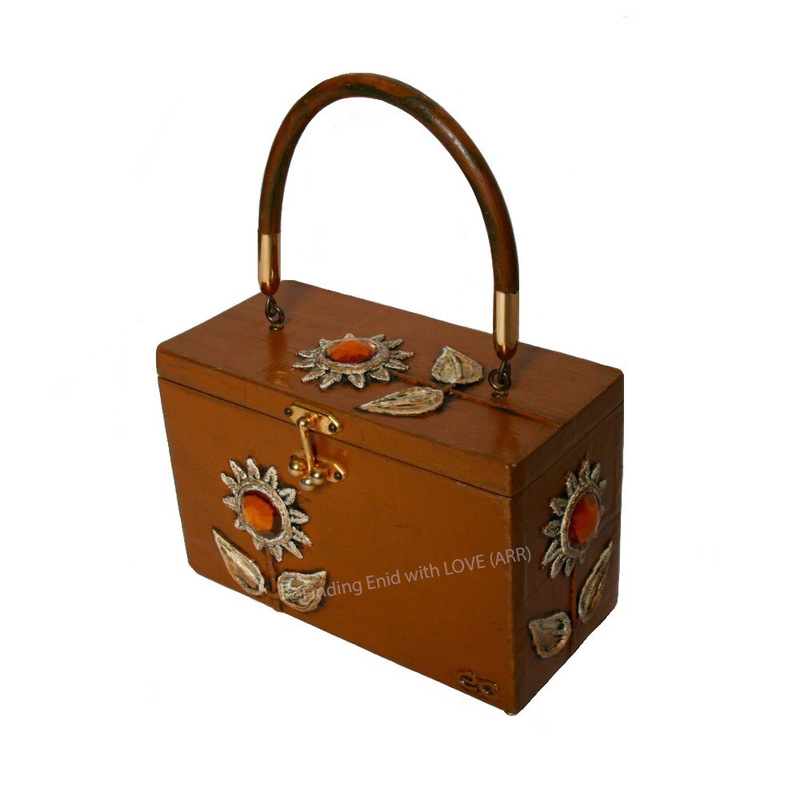 Casket-style box purse of warm brown wood decorated on four sides and top with papier mâché stylized daisies, painted in metallic gold over antiques white, with large faux-amber stones as their centers. Box is unusual in this Enid Collins line for its minimal use of paint and papier mâché. Antiqued brown vinyl handle.